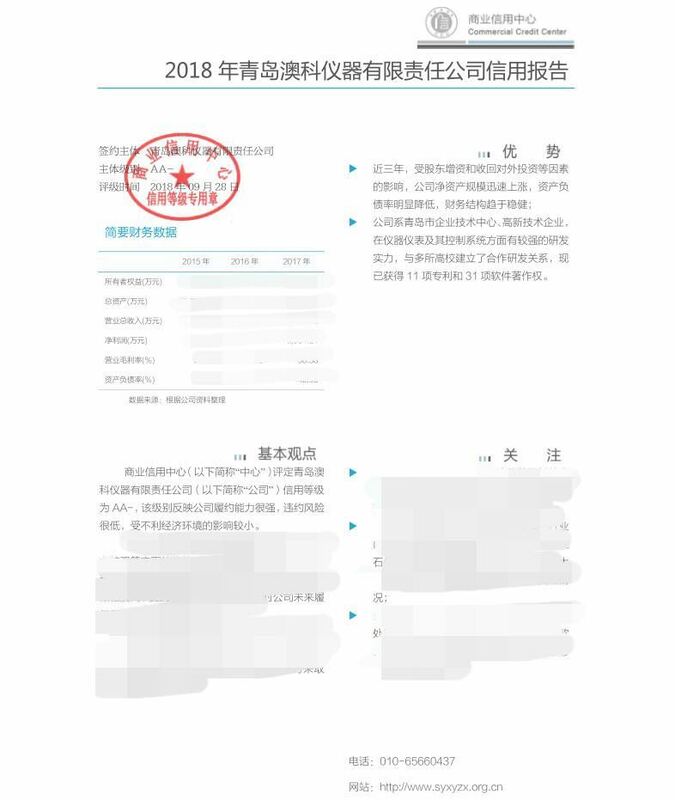 Nowadays, evaluated by Commercial credit center, Qingdao Accugauge was issued the certification as level AA- by the China Sinopec material and equipment department. Commercial credit center of China is a professional public institution that can weigh the enterprise commercial credit and safeguard social and economic order. This time, the commercial credit center conducted a full range of verification and assessment on Qingdao Accugauge, including business qualifications, institutional setup, system construction, human resources, production and operation status (purchasing status, production status, quality control, production safety and environmental management, warehousing and transportation, sales status, after-sales management, technology research and development), financial analysis, etc. The commercial credit center affirm that Qingdao Accugauge have the strong ability to perform, the risk of default is very low, and it is less affected by the adverse economic environment. Commercial credit center give high praise to Qingdao Accugauge on commercial credit, it is a strong affirmation and recognition to us, we will keep moving on the process of enhancing brand image and commercial credit.